← The Spring collection is here! Discover the new fabrics! 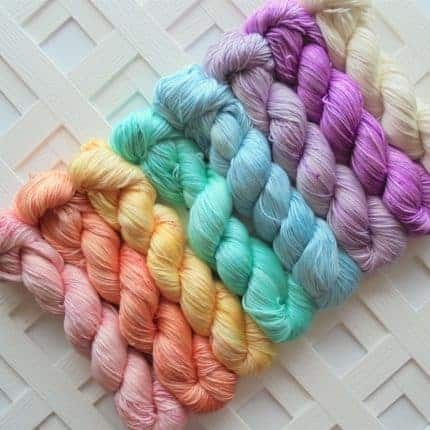 I’ve dyed eight soft and speckled pastel colorways on my luxurious So Silky Sock yarn base, which is made of 50% mulberry silk and 50% Superwash Merino. 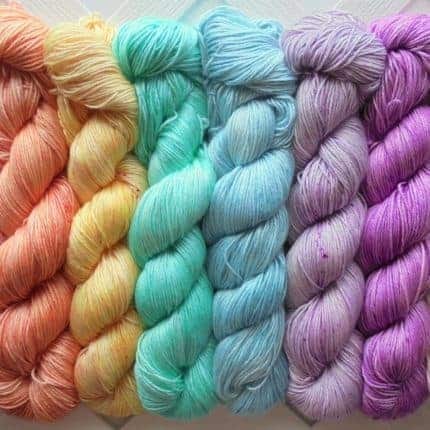 Each 10-gram mini is 40 yards, so you’ll receive 320 yards of sock-weight yarn in the colorways shown in the photos. 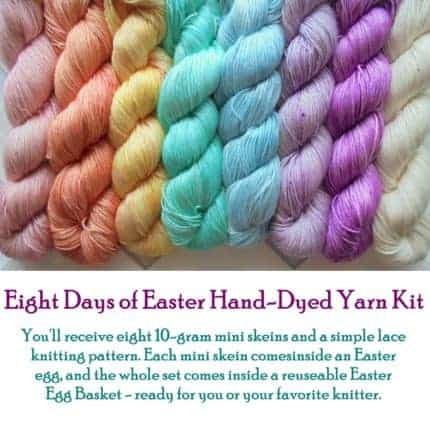 I have 10 kits available, and I’ll be shipping them by Monday, April 15th, via priority mail so as to arrive in time for Easter. 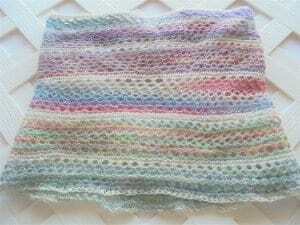 The kit also comes with a heavy paper copy of my Diamond Twist Cowl pattern–a simple but elegant knitting pattern perfect for spring and summer since it’s an open-work lace pattern. It’s suitable for an advanced beginning knitter or beyond. 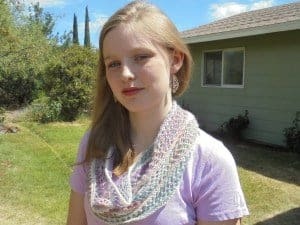 The last two photos show the cowl pattern knit up in a different colorway. Of course you can open all the “yarn eggs” at once if you like, but I’ll have them numbered in order of the pattern so you can open one and knit that part of the pattern each day during the octave of Easter and have a lovely cowl to enjoy at the end.